"There’s much more to a well-fitted suit than most men recognise." When you’ve worn tailor made you’ll have an appreciation of a good suit’s finer points. On the surface, a well-fitted suit is determined by those features that meet the eye: the lapel, the break in the trousers, the vent in the jacket, the shoulder seam. But there’s much more to a well-fitted suit than most men recognise. These little details add not only a touch of style, but a superior fit unmatched by anything in your local department store. For those longer-term devotees of made-to-measure, there are some terms with which you mightn’t be familiar. Here is a tailor-made vocabulary to improve your knowledge and impress your friends. The turn back might seem like an unfamiliar term, but you’ve undoubtedly seen one before. 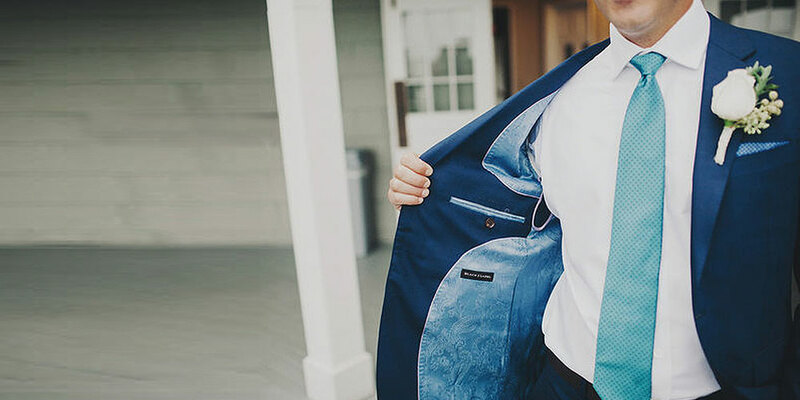 When you flip up your jacket’s collar, you’ll notice a small, rectangular piece of fabric that’s attached to both the contrast collar fabric and the start of the lapel. The turn back is designed to help you angle your collar if so desired. It’s also a tiny yet vastly important signal of a well-made suit. When it comes to assessing your jacket’s fit around the neck, the turn back can play a vital role. No two gents are built exactly the same. When you drop your arms down to your sides, they’ll be angled differently to the man next to you. Be it posture, stature or genetics, your arms will fall their own way. Off-the-rack suiting tends to create generic sleeves that don’t take this into account. A well-fitted suit should have sleeves that follow the natural line of your arms. When this is mismatched, you find creases or bunching around your bicep. 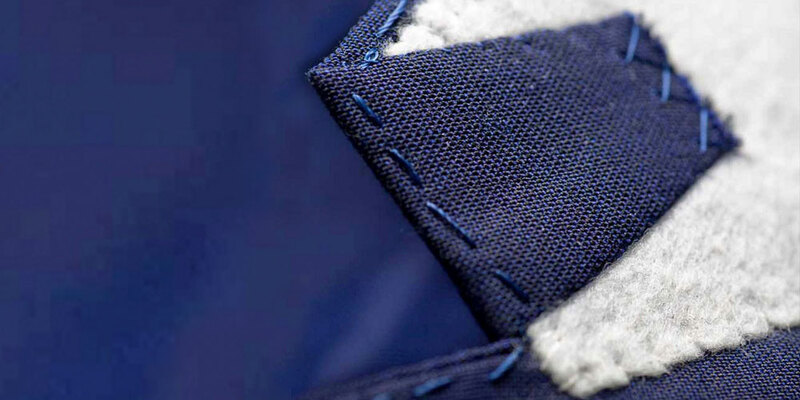 A subtle and often overlooked detail is lining. Fully lined suits are more expensive but worth the investment for men who live in cold climates. For example, fully lined suits are quite common in England—or Melbourne— where temperatures stay cool for most of the year. For warmer months, a half-lining might be more appropriate. When you slide into your jacket, your arms will glide through and you’ll be able to move comfortably throughout the day. Canvassing is a manufacturing detail most men never contemplate. There are different methods: full canvassing, half canvassing, and fusing. Fusing involves gluing all the interior parts of your jacket together. This is cheaper than the other methods but doesn’t hold up over time and causes a stiff fit and can result in bubbling. Full or half canvassing means the jacket sits better and wears well. They involve hand stitching all or multiple parts of the Interior together—a stronger bond that helps the suit mould to your shape over time. There are plenty of obvious indicators of a well-fitted suit, but it’s often the smaller details that matter most. Meet with your tailor for a practical instruction when you create your next suit.